Already fitted in 1000s of venues across the UK. 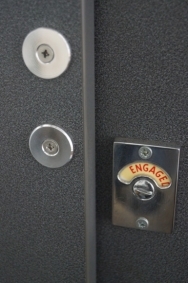 Read our case studies..
JD Wetherspoon, one of the largest pub operators in the UK, were in the process of upgrading their pubs with new toilet facilities and were looking for a vandal proof lock for their toilet cubicles. We worked closely with Wetherspoons to identify their needs. 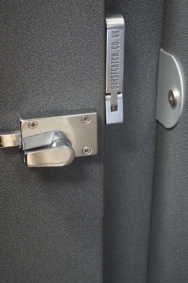 They were suffering from vandalism of their toilet cubicle locks on a weekly basis, which was inconveniencing their customers and costing money every time a toilet cubicle lock or catch needed replacing. 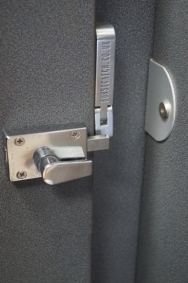 "...JD Wetherspoon decided to make our vandal resistant toilet door lock standard across all their pubs and clubs"
We trialled a number of Burstcatch installations which replaced their original catch but retained the original lock. This saved them time, money and simplified installation. 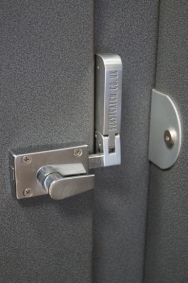 The client quickly realised that it was the perfect solution for them and each one they installed was instantly saving them money by eliminating lock repairs and improving the customer experience. 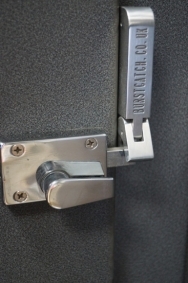 After receiving feedback from the landlords that had benefited from the Burstcatch installed toilet cubicles, it was decided to make our vandal resistant toilet door lock standard across all their pubs and clubs. We have been working closely with their designers and our network of resellers to make sure they have the information and stock they need for this washroom renovation programme. 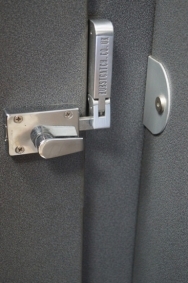 These photos show step-by-step how the Burstcatch door lock yields under pressure and automatically resets itself with no damage to the toilet door.